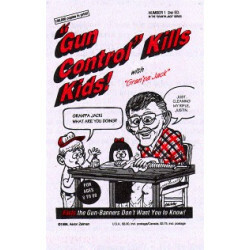 This comic book is number one in the ''Grandpa Jack'' series. It is an educational comic aimed at everyone aged eight or older. It destroys every major argument for ''gun control''. 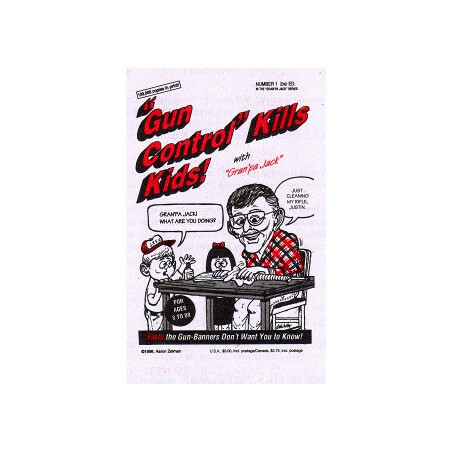 It educates kids so they will know how to support firearms ownership. It immunizes kids against anti-gun propaganda and it provides long-term insurance for your right to be armed. Not unimportantly, the book will cause heartburn for Sarah Brady, Peter Jennings and other boosters of civilian disarmament. Grandpa Jack emerges as an American folk hero.